Sandalwood essential oil is steam distilled to create a pale yellow, clear, thick liquid that is used by aromatherapists all over the world to treat bronchitis, chapped and dry skin, depression, oily skin, stress, and much more. At Bulk Apothecary we offer high quality sandalwood oil at an affordable price so you can take advantage of these benefits without breaking the budget. Trying to figure out where to buy glycerin, aromatherapy essential oils, soap making supplies and more? We offer amazing selection, great customer service and prices almost unheard of. When buying soap supplies, give a us a try. We are sure you won’t be disappointed. Considered non-toxic, non-irritant and non-sensitizing oil. This was my first time buying sandalwood. I have wanted it for a long time but the price kept me away. Now that I have it my only regret is not buying it sooner. I love love love how it smells. I love this Sandalwood. It calms my anxieties and helps me to focus on the important things in my life. My son is ADHD. Sandalwood was one of the ingredients in his daytime oil. He was able to bring up his grades after I made a couple of blends for him. Sandalwood may be expensive, but it is oh so worth it because it works. 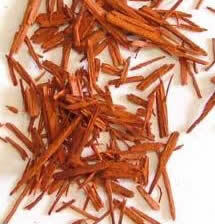 I am ready to start making some blends with this Sandalwood and I know they will do exactly what I want them to do. Oh, how I love the smell of sandalwood. Very good quality, thankfully, because this is an expensive essential oil! I like to mix it with either lavender or rose in my diffuser before bedtime. You only need 3-4 drops of this distinct scent. Highly recommended. Always enjoy this product. It has never failed to arrive with an enrapturing fragrance. Very male! It smells great. The perfect base note for my cologne. I couldn't wait to try it with the other fragrances. The price is great and will order again. Again thanks for a great fragrance. This oil is beautiful and has a wonderful memory for me. I have learned to use it sparingly by using just a few drops in blends. Still, my favorite blend is mostly orange with a touch of sandalwood oil in a carrier oil. That's my memory. Worth every penny. Bought this here about two years ago. And I have learned a little goes a long way with the right blend. The price has gone up recently, but it's a beautiful scent you just cannot compare it to anything else. The aroma deepens and is better with age too. This was my first order with your company and will not be the last!! Excellent product and super fast shipping.